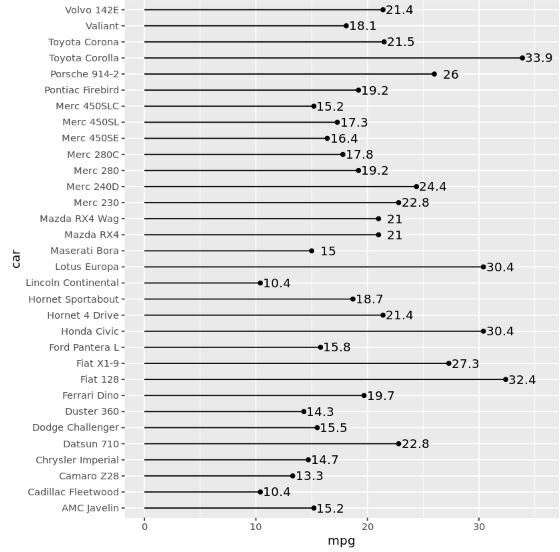 Similar to a bar chart, a lollipop chart is useful for comparing the quantitative values of a categorical variable. 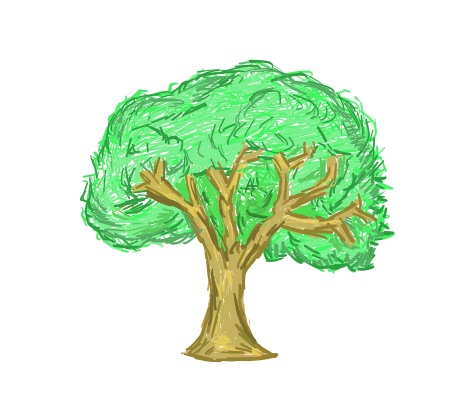 Instead of using bars, though, a lollipop chart uses lines with circles on the end to represent the quantitative values. A lollipop chart is an excellent way to compare multiple categories while keeping the amount of color on the chart minimal and drawing the attention of the reader to the actual values on the chart as opposed to the lines or other graphics on the chart. Many people also consider the lollipop chart to be aesthetically pleasing. 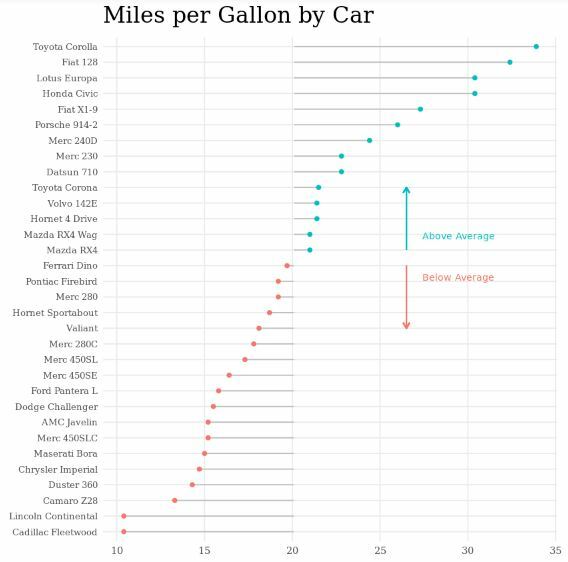 The following code illustrates how to create a lollipop chart to compare the mpg (miles per gallon) for each of the 32 cars in the dataset. 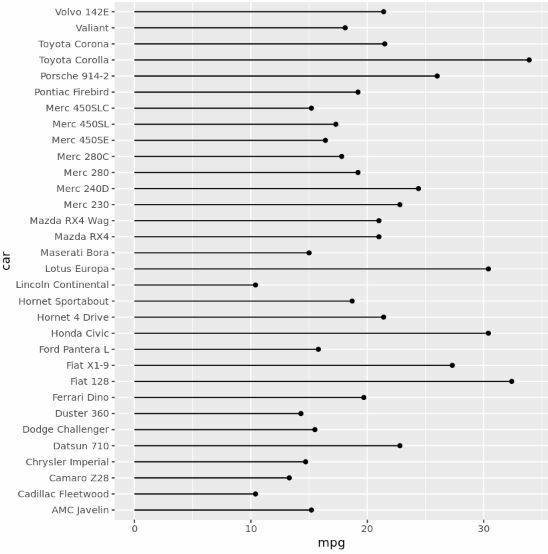 The names of the cars are defined in the row names of the dataset, so first we create a new column in the dataset that contains these row names. 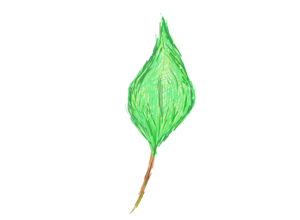 Next, we load the library ggplot2, which we will use to actually create the lollipop chart. We can also use a lollipop chart to compare values to a specific number. 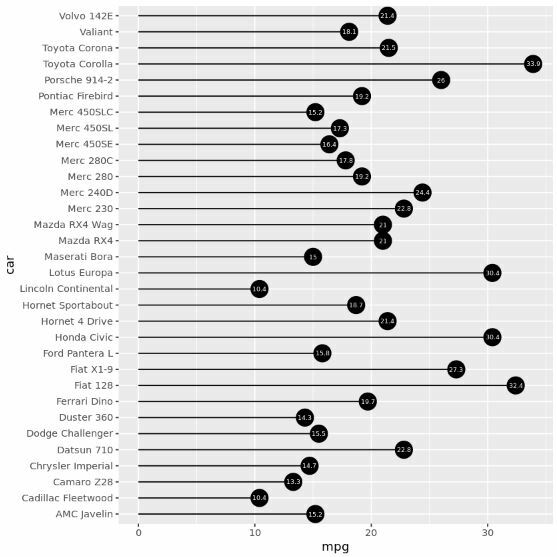 For example, we can find the average value for mpg in the dataset and then compare the mpg of each car to the average. 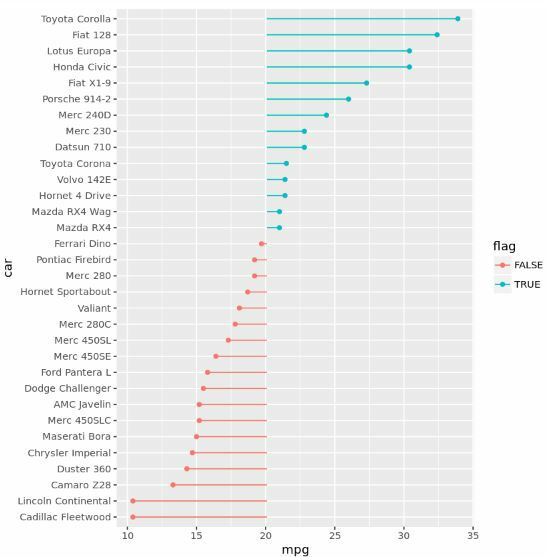 Next, the following code creates the lollipop chart by defining the color of the circle to be equal to the value of flag (in this case, TRUE or FALSE) and the starting x-value for each car is equal to the average value of mpg. 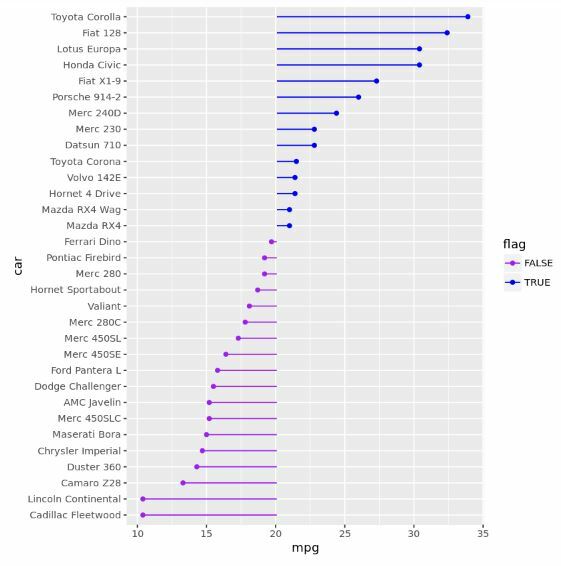 By using this type of color scheme, we can easily tell which cars have an mpg less than and above the average for the dataset.